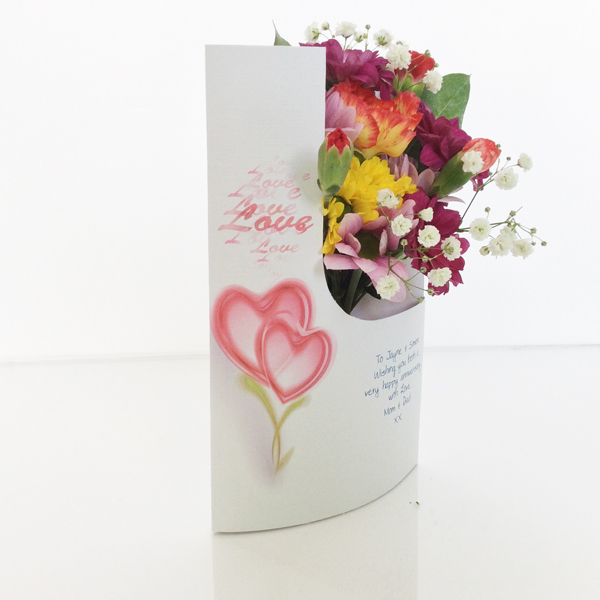 Celebrate the happy couples special anniversary with Love, Love, Love !! 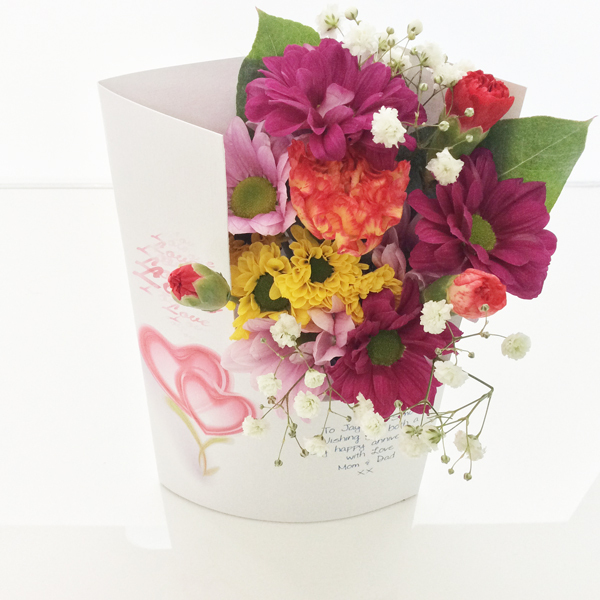 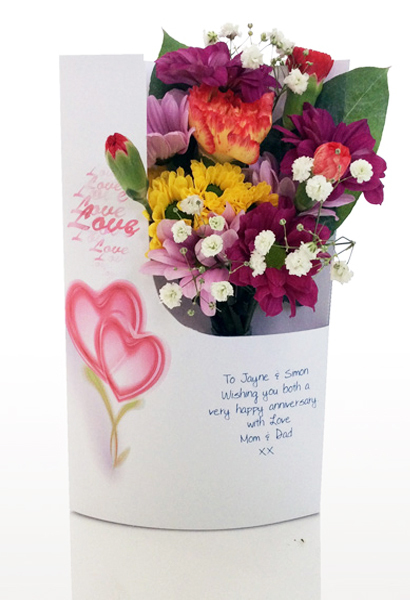 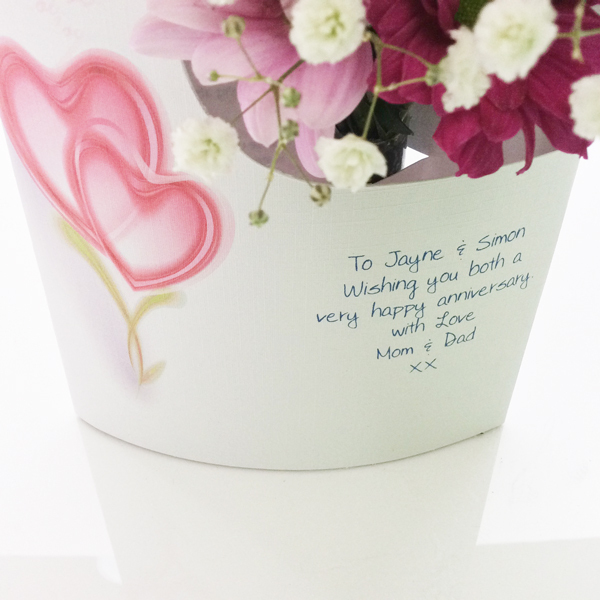 With your personalised Greeting printed on the front. 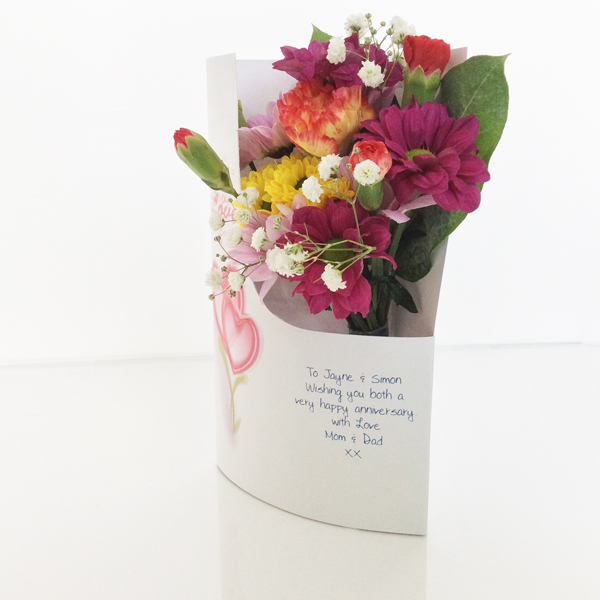 This card is also suitable for weddings , engagements and Valentines day.